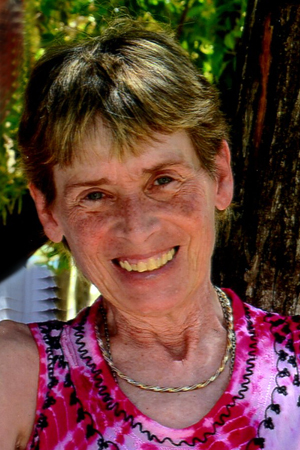 Kay Omel, age 66, of Giltner, passed away Saturday, March 30, 2019, at Westfield Quality Care in Aurora. Funeral Services will be held at 10:30 A.M., Wednesday, April 3rd at the United Methodist Church in Giltner. Pastor Kathy Uldrich will officiate. Interment will be in the Giltner Cemetery. Visitation will be from 5 - 7 P.M. on Tuesday at the United Methodist Church in Giltner. Memorials may be made to the family to designate at a later date. Higby-McQuiston Mortuary is in charge of arrangements. Condolences may be e-mailed to the family through the mortuary website at www.higbymortuary.com. Kay Frances Omel, the daughter of Francis and Mildred (Halbmaier) Skupa, was born in Hastings, Nebraska on July 18, 1952 and passed away in Aurora, Nebraska on March 30, 2019, at the age of 66. Kay graduated from Campbell High School in 1970. She graduated from Mary Lanning School of Nursing as a Registered Nurse on June 1, 1973. During her 40 year nursing career Kay worked at Eastern Ambulance and Mary Lanning. Before retiring in October of 2014, Kay had been working at Homestead Nursing Home for last 14 years of her career. Kay married Dennis Bartlett on August 12, 1972. They had two daughters: DanYel and Kelly. Kay married Elton ‘Skeeter’ Omel on April 17, 2004. She cherished her time attending her grandchildren’s many activities and traveling to many beautiful places. Kay enjoyed barrel racing, country music, especially George Strait & Jimmy Buffet, dancing, avid collector of antiques, proud Husker and Raiders fan and loved sand volleyball. She was the proud great-granddaughter of Julia Pavelka for whom the book “My Antonia” was written about. Kay enjoyed giving presentations about the book and history behind it. She was preceded in death by her parents; sister, Julia and brother-in-law, Bob. Those who remain to cherish her memory are her husband, Elton ‘Skeeter’; her two daughters, DanYel (George) Hill and Kelly (Logan) Giger; Skeeter’s children, Nicole Omel, Andrea Hall and Brady (Beth) Omel; grandchildren, Quinten, Cassie, Colton, Noah, Daniel, Madison, Sydnee, Colton, Hope, Connor, Fostin and Julion; brother & sister-in-law, Steve (Jenny) Skupa and other relatives and friends.